Event: The Quintessential Industry Party - Jaywon, Omagz, Hanu Jay & Percy Debut New Materials to Live Audience. - The Back Story. Event: The Quintessential Industry Party - Jaywon, Omagz, Hanu Jay & Percy Debut New Materials to Live Audience. The Q Industry Party holds today at The Scotch Bonnet, Plot 1713 Chartered Bank Close off Idejo Rd, Off Adeola Odeki, Victoria Island and will feature Jaywon perfoming his new single "Saro" among-st his other hits "This year", also fast rising artiste, Hanu Jay will be premiering his new video for "Fine Wine" - single off his debut EP "Vibes', Omagz will also be performing songs off his New EP and Percy of the defunct KKTBM will be performing his new single "Tatashe' with Peruzzi of DMW. The Event starts by 6pm. 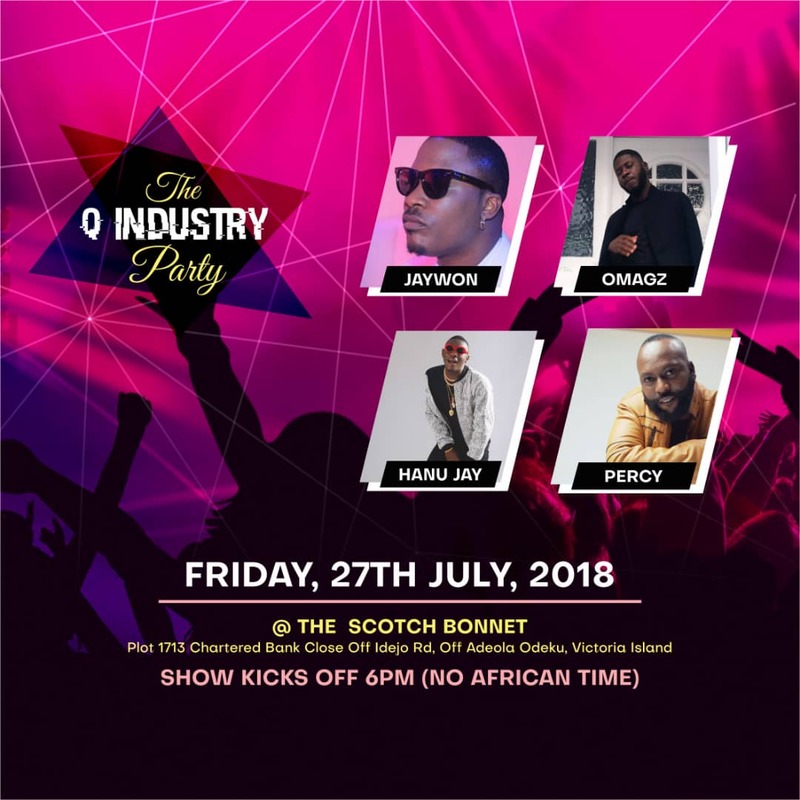 The Q Industry Party , is a bi-weekly event that helps premiere artiste's new materials (songs, EP, Videos) to an upscale audience that includes Industry execs, OAPs, Brand Managers etc , it features a live interview season that will also be recorded and aired on Soundcity radio. The interview and event is hosted by Moti Cakes of Soundcity FM and, The event proper is hosted by Raezy of Rhythm Fm.